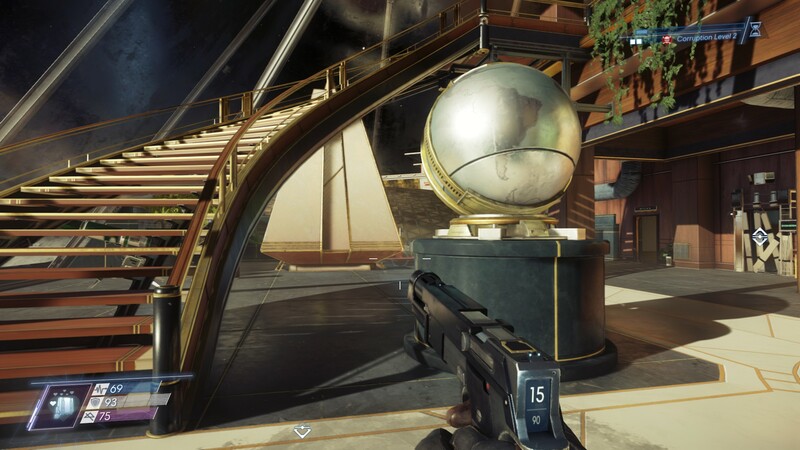 Here’s what I think happened with Prey: Mooncrash. I think originally it was meant to be a straight up expansion, much in the vein of the Dishonored series’ Knife of Dunwall and Death of the Outsider DLCs. It would have put you in the space-boots of Riley Yu, the third of the Yu siblings in charge of the TranStar Moonbase that acts as an auxiliary research centre to the Talos One Space Station. 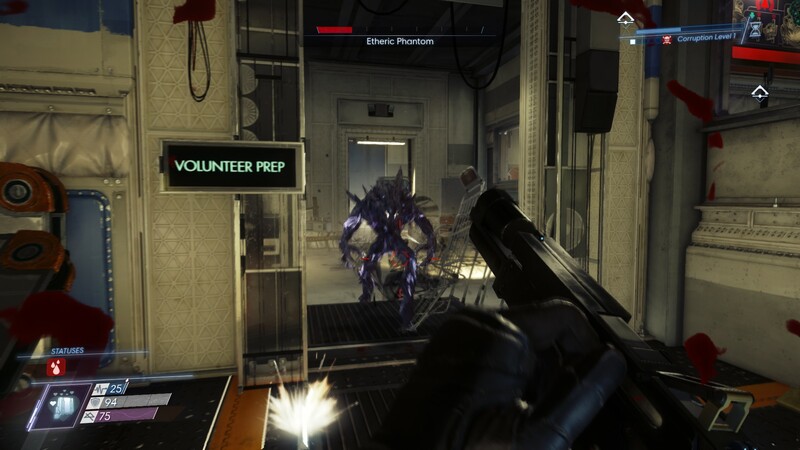 Somehow, the Typhon infection would spread to the Moon, forcing you to cope with a disaster similar to that which happened on the space station. At some point, however, Arkane decided that this idea wasn’t working out. Perhaps the abrupt departure of Raphael Colantonio, and subsequent takeover of the Austin studio by Harvey Smith, meant the team didn’t have the time to flesh out the expansion as it would have liked. Or perhaps the developers felt the concept was treading too much of the same ground. However it transpired, the designers took what they had built so far of the DLC and rearranged it into a semi-procedural rogue-like. I could be completely wrong, of course. But I certainly suspect Mooncrash suffered some form of troubled development, because it is one of the weirdest things I’ve played in a very long time. 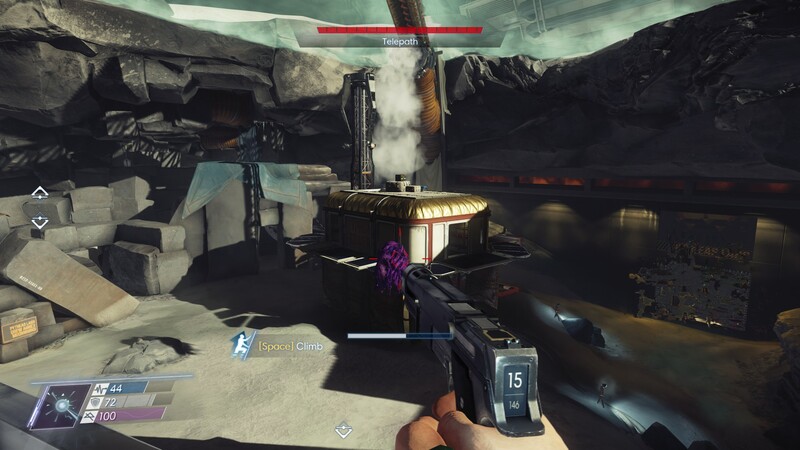 It attempts to mesh together the slow burning, highly deliberate storytelling and decision making of Prey with a structure that encourages you to react quickly and think on your feet. The result reminds me of that scene in Apollo 13 where the scientists build a device to fit a square carbon dioxide filter into a round hole, an ingenious idea executed in an entirely inelegant fashion. Trying to summarise the story highlights this. You’re still on the Moon, and you’re still fighting the Typhon infection. But you’re also not really doing either of those things. Instead, you’re a corporate spy working for a rival company aboard a small spacecraft orbiting the Moon. You’re ordered to run a simulation of a Typhon Infection of the Moon base, in order to collect “data” on why the station has recently gone dark. In the simulation, however, you don’t play as yourself. Instead, you play as one of five different characters (including Riley Yu) each of whom has a different set of abilities. You have a set of around 30 objectives to complete, some of which can be completed by anyone, while others can only be completed by specific characters. Primarily, you need to escape the facility in different ways, via space shuttle, escape pod, or by uploading your consciousness to a computer. If you think that’s confusing, we’re not done yet. Apparently, the simulation is also corrupted, which basically means that over time more and tougher enemies spawn across the station. If you’re killed in the simulation, then you switch to another character. If all the characters die in the simulation, then the simulation resets, which means that all the items you’ve hoovered up are randomly restocked, and the layout of the station changes a bit. See what I mean by inelegant? I think your enjoyment of Mooncrash is really going to depend on what you came to Prey for. 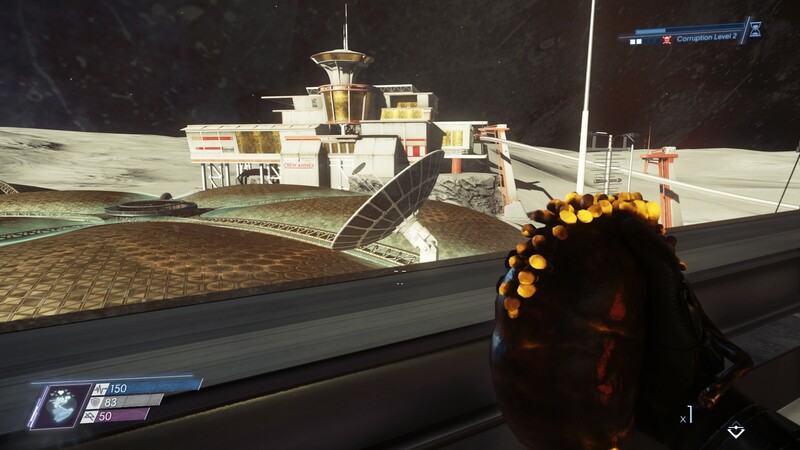 If you enjoyed Prey for it’s storytelling and world-building, then Mooncrash is probably going to give you a cluster headache, because the story hangs together in the loosest possible sense. As I said, the reason you’re running these simulations is that Moonbase has gone dark and you’re trying to figure out what happened. But the simulation plays out as if it has all the details down pat. 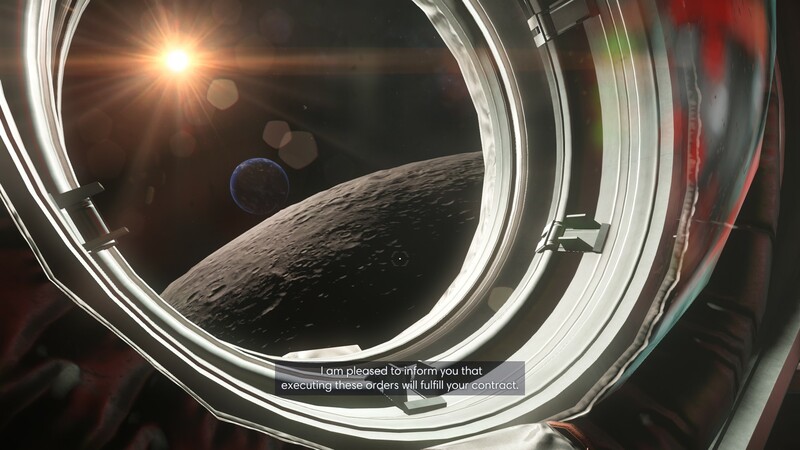 There are even messages to Riley Yu from her brother, Alex, that describe the events of Talos 1 in detail, despite the fact that this has just happened and nobody is supposed to know about it. How this could possibly be factored into a simulation is beyond me, and it's one of the reasons I suspect that Mooncrash was originally intended to be a more straightforward story. Admittedly, it’s possible I’ve missed some vital plot points, because the game isn’t exactly structured in a way that conveys the plot effectively. The escalating threat means there’s a general pressure to push forward. In addition, the notion of the facility being a simulation renders the whole story somewhat moot, as we’re given little indication of whether these events are real, imagined, or somewhere in between. 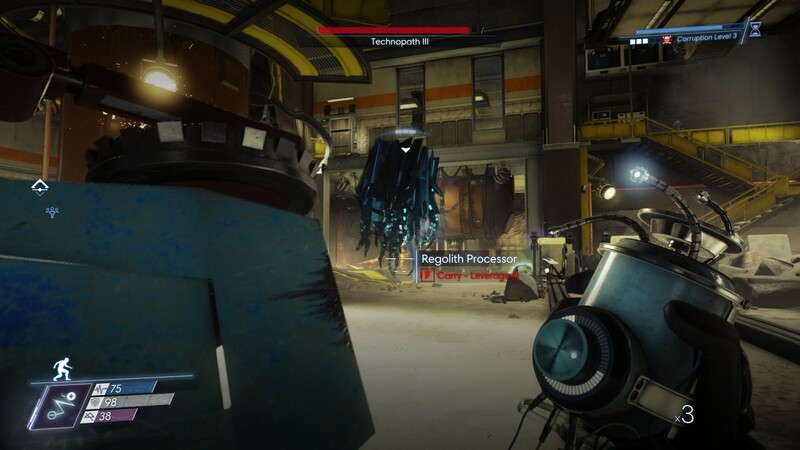 All that being said, if you enjoyed Prey mainly for its systems and creative problem solving, then I think you’ll find Mooncrash far more to your tastes. One of the main problems with immersive sims is that it’s easy to fall into a habit of relying on one play-style, or a handful of abilities. But the way Mooncrash separates the abilities out between characters forces you to use everything at your disposal. The same goes for equipment. When you first start Mooncrash, you must utilise whatever you can find. As you collect fabrication blueprints, however, you can use these to start a run with a broader range of equipment to choose from, which is a clever way of layering in progression. Similarly, the alterations made to the simulation each time it resets force you to think on your feet. 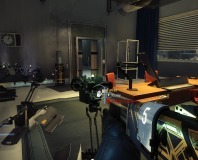 The environments mostly remain static, with changes made primarily to equipment and enemy locations. You will see some differences in the levels, such as staircases being added and removed, or tunnels being blocked or unblocked. Generally it’s about creating and denying pathways to force you to explore new areas and attempt new solutions. In this manner, Mooncrash doesn’t simply enable emergent play, it actively encourages it, forcing you to deal with consequences and think on your feet rather than quickload a half-dozen times because you didn’t ghost a level perfectly. There are also a few additions made to deepen that level of emergence. Mooncrash introduces several new enemies, ranging from creepy tentacles that reach across entire rooms and sting when they touch you, to the absurd yet terrifying Moon Shark that burrows beneath the Moon’s surface and senses you primarily through hearing. More significant, however, is the addition of gun-jamming and wounds. If your weapons degrade sufficiently, they’ll jam, which means they can only fire once before needing to be re-cocked. Wounds, meanwhile, are permanent injuries that can only be fixed with certain items. For example, at one point I suffered a bleeding injury that caused me to take damage if I ran, jumped, or climbed on a surface. As a consequence I had to be very cautious in my movements until I found a packet of coagulating gel to cure the wound. These little systems lend themselves well to Mooncrash’s reactive play, forcing you to solve problems as they appear rather than relying upon tried and tested modes of progression. 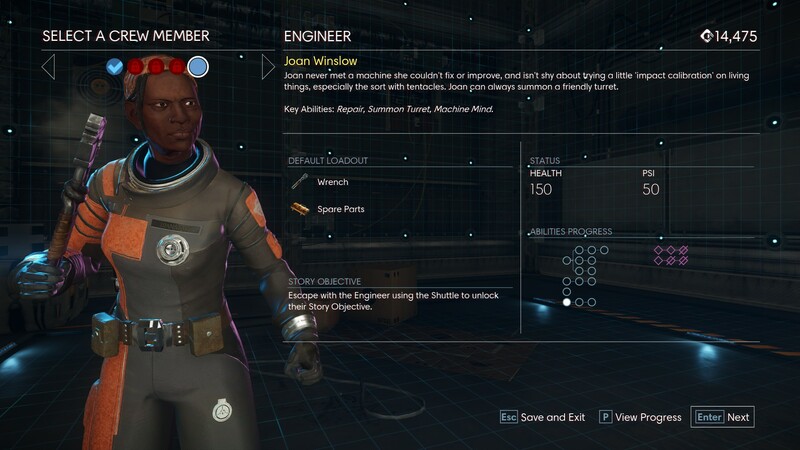 Arkane has itself described Mooncrash as an experiment. I get the feeling that it was a troubled project which the devs have attempted to rescue with a new direction. 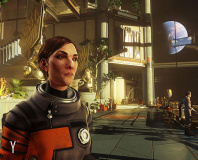 Either way, whether or not you think it is successful will depend largely on what you expect from Prey and Arkane in general. I personally think it’s deeply flawed, but also undeniably intriguing. I can’t recommend it outright, but I have found myself thinking about it far more than I anticipated.